Want more background on the First Assembly? Here’s our new resource document! We’re busy here in Áiseanna Tacaíochta getting all the final plans for our upcoming disability and human rights event, the First Assembly, in place. Taking place in the International Arena in Athlone on Saturday, 13th June, it looks set to be a great celebration of our rights and to reignite our drive for change as a disability community. If you or your organisation would like some more background on the First Assembly, we’ve developed a new resource document – outlining the vision behind the day, the reasons why we’re holding it now, and what’s going to happen on the day – which should be useful for you! 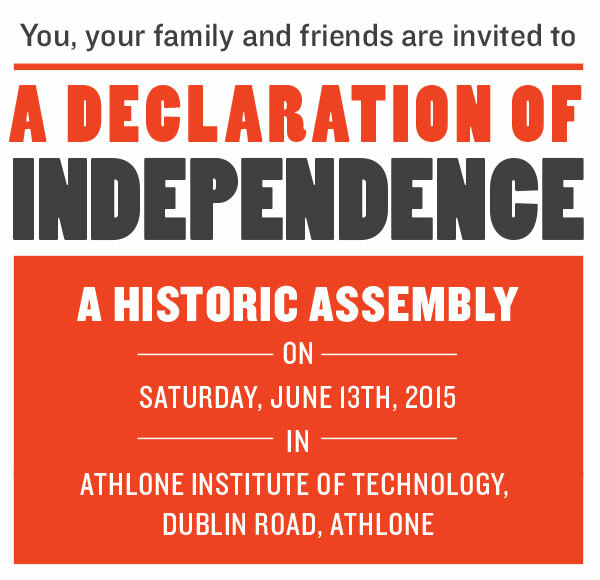 The document includes practical information that might help you to plan your journey to Athlone. Registration is free and remains open until 5th June; just click here or use the ticket form at the bottom of this page to book your spot!